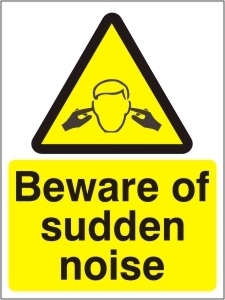 Beware of Sudden Noise - Health and Safety Sign (WAG.25). All signs are available in a self adhesive vinyl or a 1mm Rigid Plastic. Caution - Health and Safety Sign (WAG.38). All signs are available in a self adhesive vinyl or a 1mm Rigid Plastic. 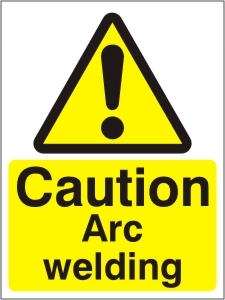 Caution Arc Welding - Health and Safety Sign (WAG.28). All signs are available in a self adhesive vinyl or a 1mm Rigid Plastic. 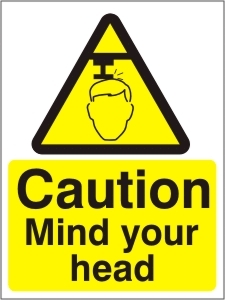 Caution Mind Your Head - Health and Safety Sign (WAG.11). All signs are available in a self adhesive vinyl or a 1mm Rigid Plastic. Caution Slippery Surface - Health and Safety Sign (WAG.09). All signs are available in a self adhesive vinyl or a 1mm Rigid Plastic. 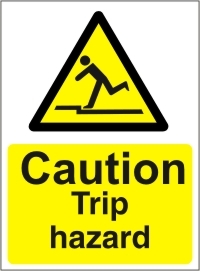 Caution Trip Hazard - Health and Safety Sign (WAG.04). All signs are available in a self adhesive vinyl or a 1mm Rigid Plastic. 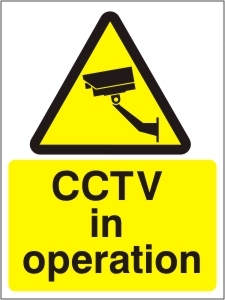 CCTV in Operation - Health and Safety Sign (WAG.07). All signs are available in a self adhesive vinyl or a 1mm Rigid Plastic. 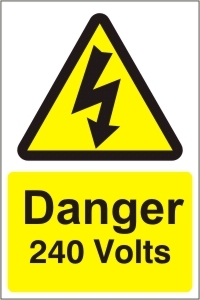 Danger 240V - Health and Safety Sign (WAE.07). All signs are available in a self adhesive vinyl or a 1mm Rigid Plastic. 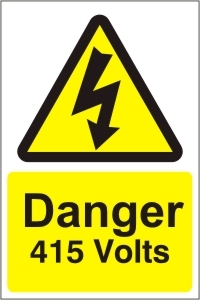 Danger 415V - Health and Safety Sign (WAE.08). All signs are available in a self adhesive vinyl or a 1mm Rigid Plastic. 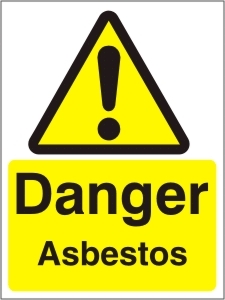 Danger Asbestos - Health and Safety Sign (WAG.06). All signs are available in a self adhesive vinyl or a 1mm Rigid Plastic. 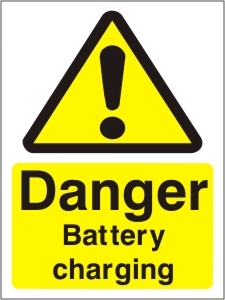 Danger Battery Charging - Health and Safety Sign (WAG.16). All signs are available in a self adhesive vinyl or a 1mm Rigid Plastic. 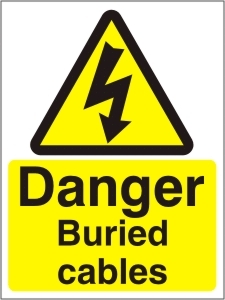 Danger Buried Cables - Health and Safety Sign (WAE.02). All signs are available in a self adhesive vinyl or a 1mm Rigid Plastic. Danger Demolition in Progress - Health and Safety Sign (WAC.02). All signs are available in a self adhesive vinyl or a 1mm Rigid Plastic. 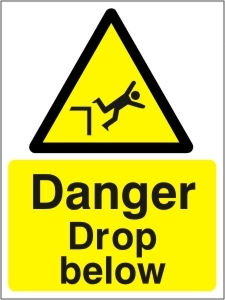 Danger Drop Below - Health and Safety Sign (WAC.14). All signs are available in a self adhesive vinyl or a 1mm Rigid Plastic. 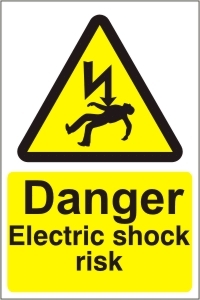 Danger Electric Shock Risk - Health and Safety Sign (WAE.11). All signs are available in a self adhesive vinyl or a 1mm Rigid Plastic. 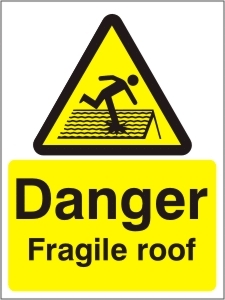 Danger Fragile Roof - Health and Safety Sign (WAG.02). All signs are available in a self adhesive vinyl or a 1mm Rigid Plastic. 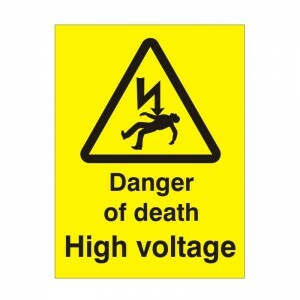 Danger High Voltage - Health and Safety Sign (WAE.01). All signs are available in a self adhesive vinyl or a 1mm Rigid Plastic. Danger High Voltage Cables Underground - Health and Safety Sign (WAE.05). All signs are available in a self adhesive vinyl or a 1mm Rigid Plastic. 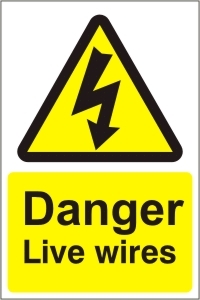 Danger Live Wires - Health and Safety Sign (WAE.12). All signs are available in a self adhesive vinyl or a 1mm Rigid Plastic. Danger of Death - Health and Safety Sign (WAE.03). All signs are available in a self adhesive vinyl or a 1mm Rigid Plastic. Danger Overhead Live Wires - Health and Safety Sign (WAE.04). All signs are available in a self adhesive vinyl or a 1mm Rigid Plastic. 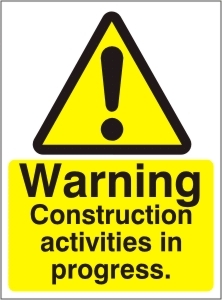 Warning Construction Activities in Progress - Health and Safety Sign (WAC.24). All signs are available in a self adhesive vinyl or a 1mm Rigid Plastic. Warning Construction Site - Keep Out - Health and Safety Sign (WAC.21). All signs are available in a self adhesive vinyl or a 1mm Rigid Plastic. 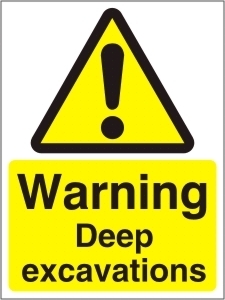 Warning Deep Excavations - Health and Safety Sign (WAC.01). All signs are available in a self adhesive vinyl or a 1mm Rigid Plastic. 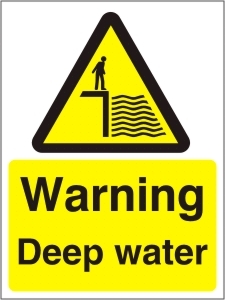 Warning Deep Water - Health and Safety Sign (WAC.16). All signs are available in a self adhesive vinyl or a 1mm Rigid Plastic. 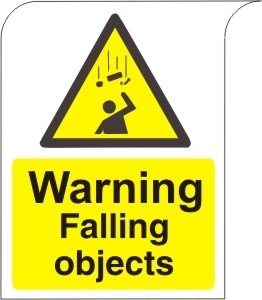 Warning Falling Objects - Health and Safety Sign (WAC.17). All signs are available in a self adhesive vinyl or a 1mm Rigid Plastic. 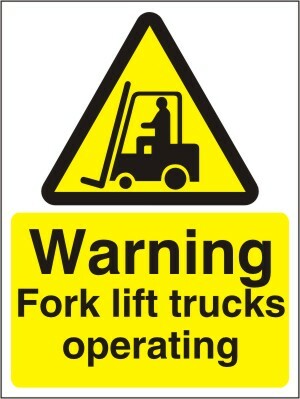 Warning Fork Lift Trucks Operating - Health and Safety Sign (WAG.08). All signs are available in a self adhesive vinyl or a 1mm Rigid Plastic. 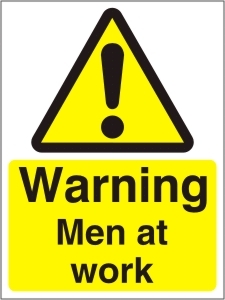 Warning Men at Work - Health and Safety Sign (WAC.05). All signs are available in a self adhesive vinyl or a 1mm Rigid Plastic. 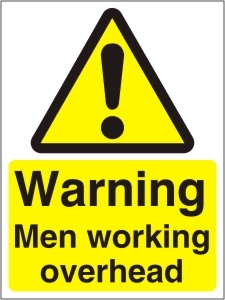 Warning Men Working Overhead - Health and Safety Sign (WAC.03). All signs are available in a self adhesive vinyl or a 1mm Rigid Plastic. 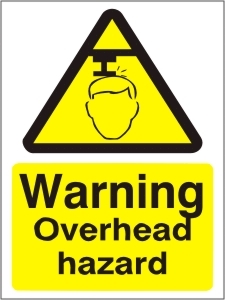 Warning Overhead Hazards - Health and Safety Sign (WAG.15). All signs are available in a self adhesive vinyl or a 1mm Rigid Plastic. 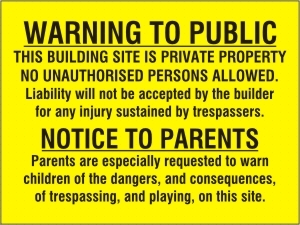 Warning Site Entrance - Health and Safety Sign (WAC.18). All signs are available in a self adhesive vinyl or a 1mm Rigid Plastic. Warning Site Traffic - Health and Safety Sign (WAC.19). All signs are available in a self adhesive vinyl or a 1mm Rigid Plastic. 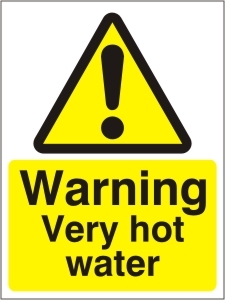 Warning Very Hot Water - Health and Safety Sign (WAG.12). All signs are available in a self adhesive vinyl or a 1mm Rigid Plastic. Warning to Public - Health and Safety Sign (WAC.22). All signs are available in a self adhesive vinyl or a 1mm Rigid Plastic. 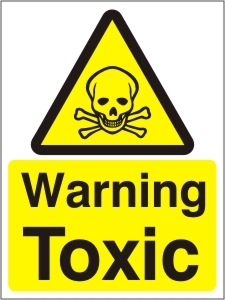 Warning TOXIC - Health and Safety Sign (WAG.14). All signs are available in a self adhesive vinyl or a 1mm Rigid Plastic. 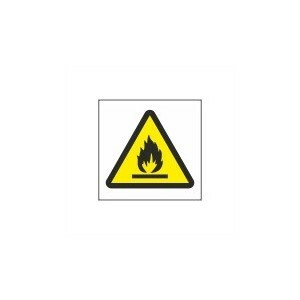 Beware Low Temperature - Health and Safety Sign (WAG.70) - Huge savings on essential signs, from Safety Services Direct! Just £1.75! 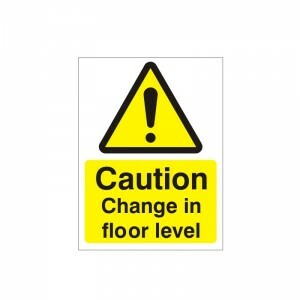 Caution Change In Floor Level - Health and Safety Sign (WAC.94) - A tiny £1.75! 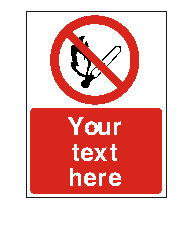 Hard-wearing health and safety signs for ultra-low prices! 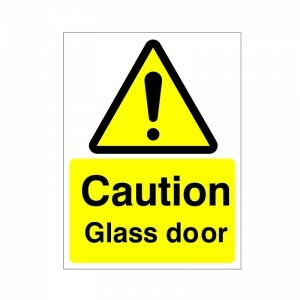 Caution Glass Door - Health and Safety Sign (WAG.53) - We offer superior quality signs for budget prices, this caution sign is only £1.75! 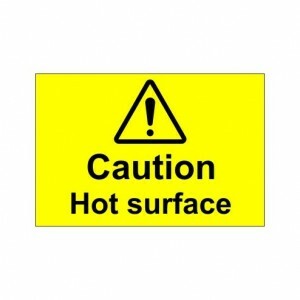 Caution Hot Surface (75x50) - Health and Safety Sign (WAG.90) - 99p! Get all of your Health and Safety signs at amazingly low prices with Safety Services Direct! 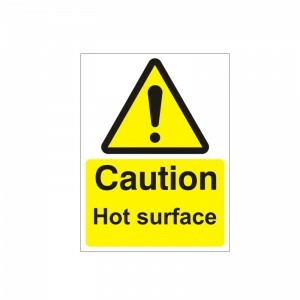 Caution Hot Surface - Health and Safety Sign (WAG.33) - £1.75! Our fully comprehensive range of Health and Safety signs are top-class and great value for money! 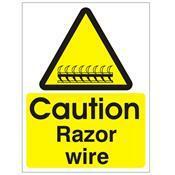 Caution Razor Wire - Health and Safety Sign (WAG.20). All signs are available in a self adhesive vinyl or a 1mm Rigid Plastic. 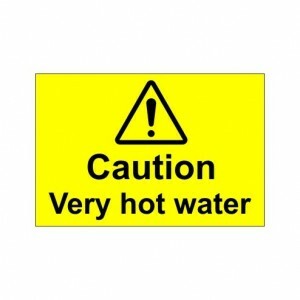 Caution Very Hot Water - Health and Safety Sign (WAG.91) - 90p! 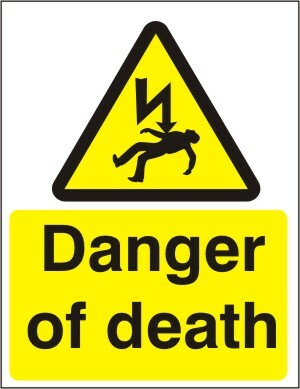 Durable, clear and concise health and safety warning sign! Caution Wet Floor - Health and Safety Sign (WAG.93) - Super-High quality warning sign for as little as £1.75 from Safety Services Direct! 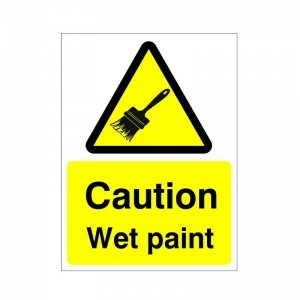 Caution Wet Paint - Health and Safety Sign (WAG.52) - From as little as £1.75! Our class leading range of signs are highly durable and great quality! 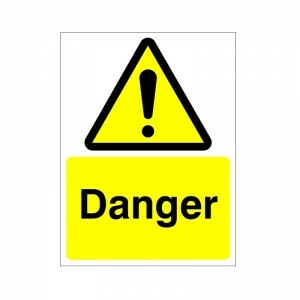 Danger - Health and Safety Sign (WAG.110) - A price-busting £1.75! 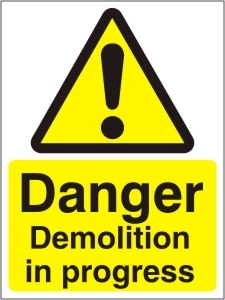 Order your long lasting and clear warning signs TODAY, with Safety Services Direct! Danger 11000 Volts - Health and Safety Sign (WAE.10) - High quality, low-budget signs from Safety Services Direct! This sign: Only £1.75! 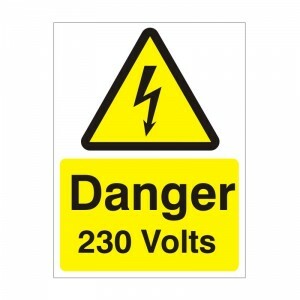 Danger 230 Volts - Health and Safety Sign (WAE.23) - Great value for money health and safety signs for just £1.75! 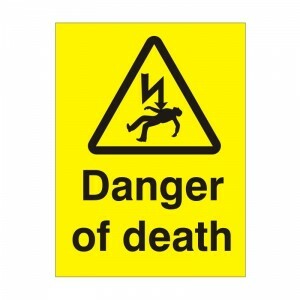 Danger 400 Volts - Health and Safety Sign (WAE.24) - We have a HUGE range of warning signs to suit your business needs! From just £1.75! 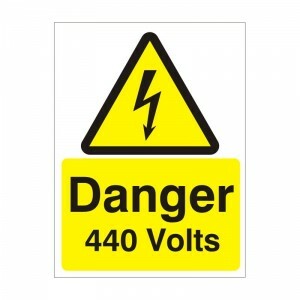 Danger 440 Volts - Health and Safety Sign (WAE.09) - Great value for money warning signs from Safety Services Direct! From just £1.75! 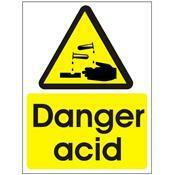 Danger Acid - Health and Safety Sign (WAG.55W). All signs are available in a self adhesive vinyl or a 1mm Rigid Plastic. 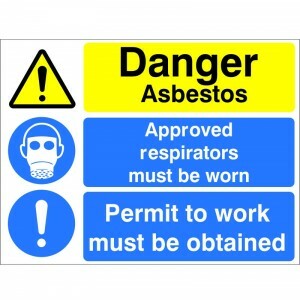 Danger Asbestos Approved Respirators Must Be Worn - (MUL.83) - Ultra-low prices for Super-High quality warning signs from Safety Services Direct! 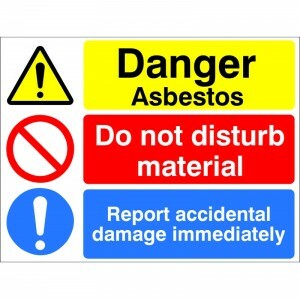 Danger Asbestos Do Not Disturb Material - Health and Safety Sign (MUL.30) - Order your Asbestos warning sign TODAY with Safety Services Direct for just £3.47! 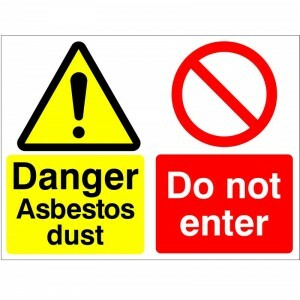 Danger Asbestos Dust Do Not Enter - Health and Safety Sign (MUL.06) - For all your health and safety sign needs order at Safety Services Direct TODAY! £6.39! 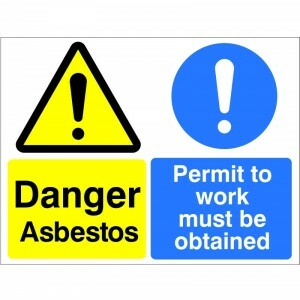 Danger Asbestos Permit To Work Must Be Obtained - Health and Safety Sign (MUL.19) - Just £6.39! We stock clear, concise and long lasting health and safety signs for minimal prices! 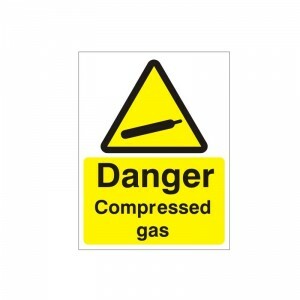 Danger Compressed Gas - Health and Safety Sign (WAG.59) - Just £1.75! Clear, concise and durable signs from Safety Services Direct! Danger Dangerous Substance - Health and Safety Sign (WAG.57) - An incredible £1.75! We stock one of the most comprehensive and best quality sign ranges online! 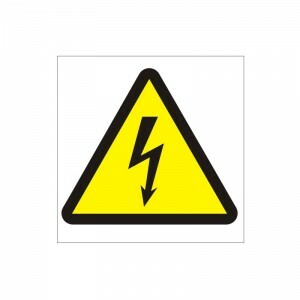 Danger Electricity - Health and Safety Sign (WAE.26) - Only £1.75! Unbelievably discounted prices on the best quality health and safety signs from Safety Services Direct! Danger Electricity - Health and Safety Sign (WAE.26) - Amazing durability, high quality signs for as little as £1.75! Safety Services Direct - For all your sign needs! Danger Explosive - Health and Safety Sign (WAG.18) - Great quality long lasting signs for minuscule prices! Safety Services Direct. 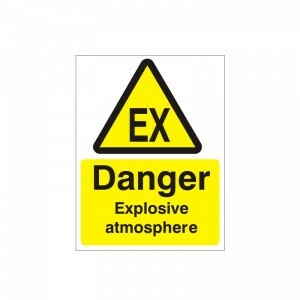 Danger Explosive Atmosphere - Health and Safety Sign (WAG.29) - Only £1.75! Hugely discounted rates for top quality health and safety signs from Safety Services Direct! 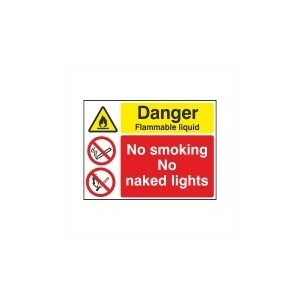 Danger Flammable Liquid No Smoking No Naked Lights - Health and Safety Sign (MUL.62) - £3.47! Amazing value for money on all your sign needs! 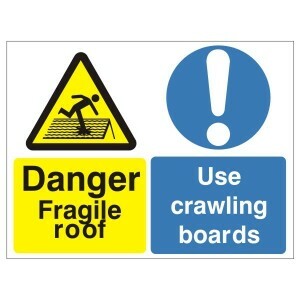 Danger Fragile Roof Use Crawling Boards - Health and Safety Sign (MUL.18) - Amazing discounted prices from Safety Services Direct! Order this sign TODAY for just £6.39! 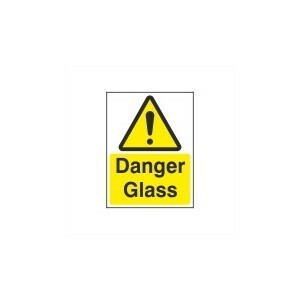 Danger Glass - Health and Safety Sign (WAG.39) - A fractional £1.75 for truly high quality warning signs from Safety Services Direct! 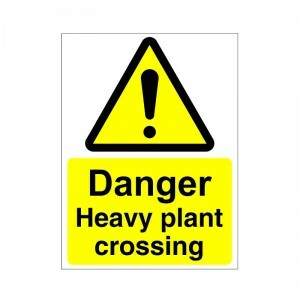 Danger Heavy Plant Crossing - Health and Safety Sign (WAC.20) - Amazing quality, great value signs from Safety Services Direct! Just £6.39! 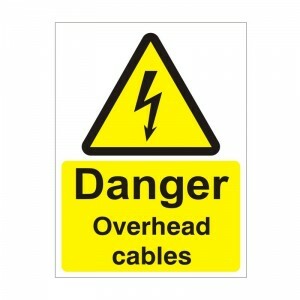 Danger High Voltage Cables Overhead - Health and Safety Sign (WAE.37) - £3.47! 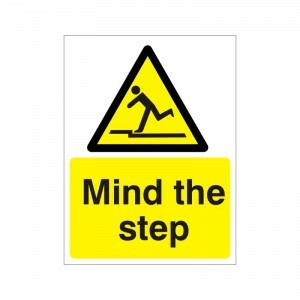 We stock a HUGE variety of health and safety signs for discount prices! Danger Highly Flammable - Health and Safety Sign (WAG.17). All signs are available in a self adhesive vinyl or a 1mm Rigid Plastic. Danger Highly Flammable No Smoking No Naked Lights - Health and Safety Sign (MUL.61) - £3.47! Superior quality health and safety sign for super-low prices! 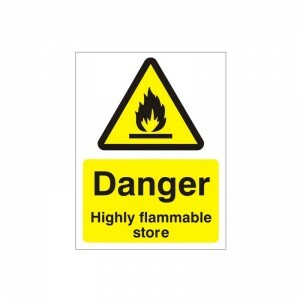 Danger Highly Flammable Store - Health and Safety Sign (WAG.95) - Amazing value on top quality health and safety signs with Safety Services Direct! £1.75! Danger Isolate Mains Supply Before Opening - Health and Safety Sign (WAE.21) - Our range of Health and Safety signs are hard-wearing and high quality, suitable for any businesses! Only £1.75! 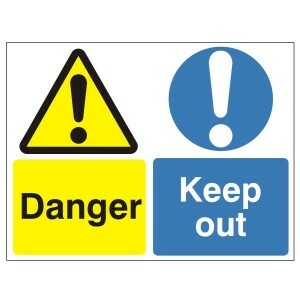 Danger Keep Out - Health and Safety Sign (MUL.82) - For only £6.39! Clear and concise signs for budget prices! Danger Live Busbars - Health and Safety Sign (WAE.22) - For just £1.75, order your clear and concise health and safety signs from Safety Services Direct! 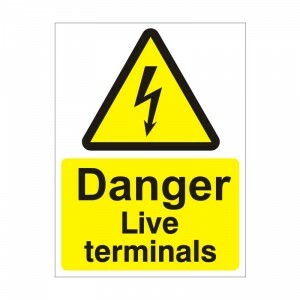 Danger Live Terminals - Health and Safety Sign (WAE.13) - A minuscule £1.75! Highly durable, clear and concise signs from Safety Services Direct! 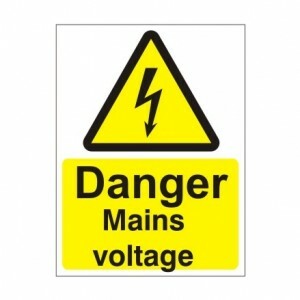 Danger Mains Supply - Health and Safety Sign (WAE.16) - Superior quality long lasting signs from Safety Services Direct! A tiny 90p! Danger Mains Voltage - Health and Safety Sign (WAE.14) - At Safety Services Direct we offer one of the most extensive ranges of health and safety signs for Super-LOW prices! Our WAE14 sign is only £1.75! Danger Of Death - Health and Safety Sign (WAE.31) - For just £1.75! Unmissably LOW prices on health and safety signs with Safety Services Direct! 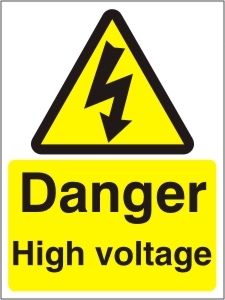 Danger Of Death High Voltage - Health and Safety Sign (WAE.32) - Get your clear and concise sign for just £1.75 from Safety Services Direct! 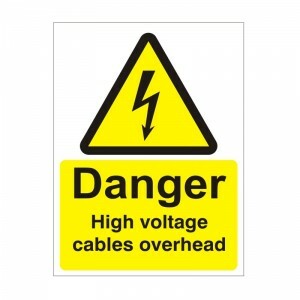 Danger Overhead Cables - Health and Safety Sign (WAE.36) - Amazing value for money health and safety signs from Safety Services Direct! £3.47! Danger Overhead Cables Height Limit - Health and Safety Sign (WAE.19) - Our fully extensive health and safety signs are top-class and extremely durable. £6.39! 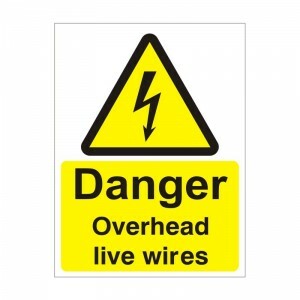 Danger Overhead Live Wires - Health and Safety Sign (WAE.35) - Super-low priced top quality signs from Safety Services Direct! 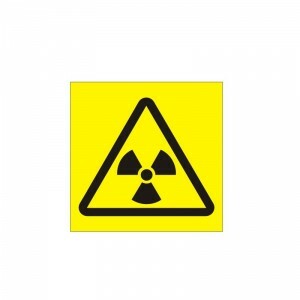 Danger Radiation (150x150) - Health and Safety Sign (WAG.106) - Superior quality signs from Safety Services Direct! Only £1.75! 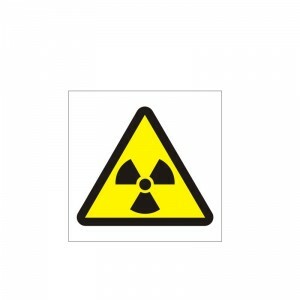 Danger Radiation (150x200) - Health and Safety Sign (WAG.107) - At Safety Services Direct we have a HUGE range of durable top quality health and safety signs, ready to order TODAY! 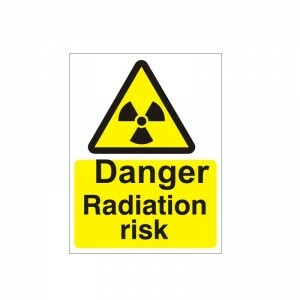 Danger Radiation Risk - Health and Safety Sign (WAG.27) - Order your top quality long lasting sign NOW for only £1.75! Danger Solvents - Health and Safety Sign (WAG.61) - Superior quality, great durability sign for just £1.75! 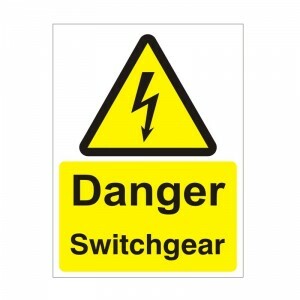 Danger Switchgear - Health and Safety Sign (WAE.38) - Ultra-LOW prices for undeniably great value from Safety Services Direct! Just £1.75! 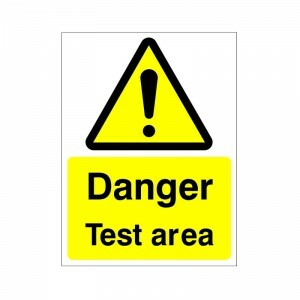 Danger Test Area - Health and Safety Sign (WAG.73) - A price-busting £6.39! 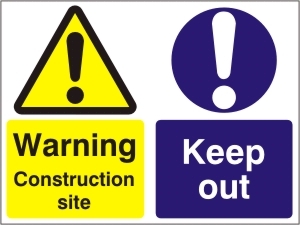 We have an extensive range of Health and Safety signs for any business needs! Dangerous Chemicals - Health and Safety Sign (WAG.32) - Only £1.75! Our comprehensive sign range is one of the best value for money health and safety sign ranges online, ORDER TODAY! 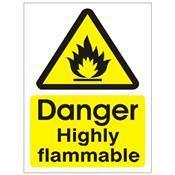 Danger Highly Flammable (150x150) - Health and Safety Sign (WAG.10) - Only £1.75! Bargain prices for top quality signs from Safety Services Direct! 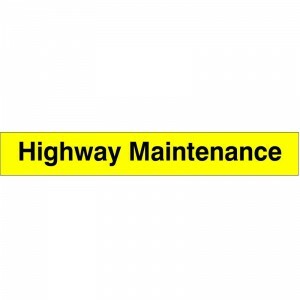 Highway Maintenance - Health and Safety Sign (WAG.31) - Only £3.47! Our low-cost top-quality signs are great value for money! 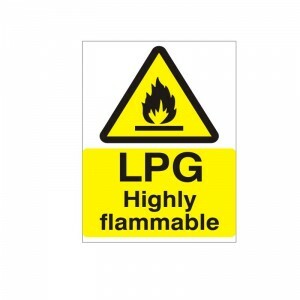 LPG Highly Flammable - Health and Safety Sign (WAG.60) - A fractional £1.75! We offer one of the best ranges of Health and Safety signs online! 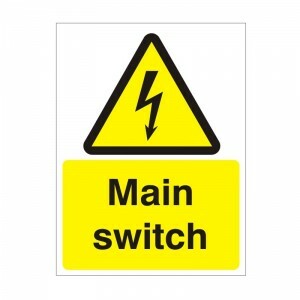 Main Switch - Health and Safety Sign (WAE.34) - Incredible value for money signs from a fractional £1.75! Safety Services Direct! Mind The Step - Health and Safety Sign (WAG.10). Just £1.75! Great quality warning signs for budget prices! 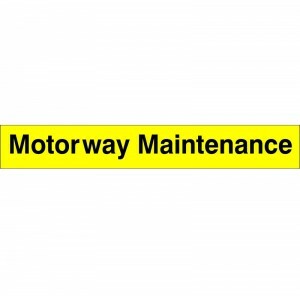 Motorway Maintenance - Health and Safety Sign (WAG.30) - Just £1.75! Superior quality signs for incredibly LOW prices from Safety Services Direct! 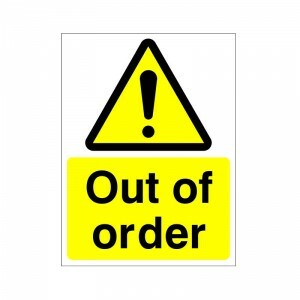 Out Of Order - Health and Safety Sign (WAG.51) - Top-Quality signs from our class-leading range, only with Safety Services Direct! £1.75! 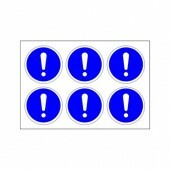 Please find below a selection of our best selling and most popular Health and Safety Warning Signs. Safety Services Direct Ltd can supply you with all of your health and safety signage requirements, so please contact us if you have a specific safety sign requirement.